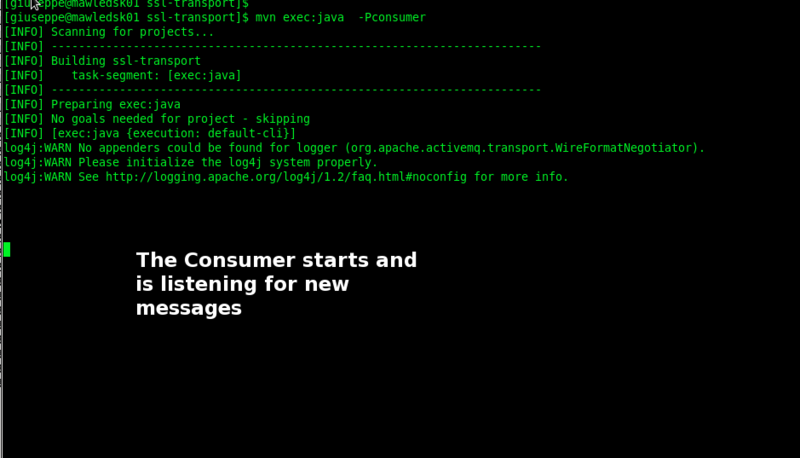 ActiveMQ is a open source message oriented middleware (MOM) from the Apache Software Foundation. 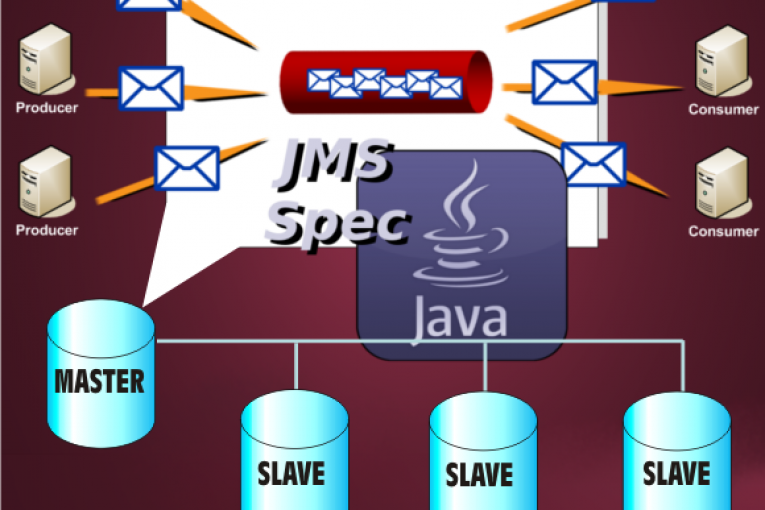 ActiveMQ is written in Java and allows communication between systems using the JMS (Java Message Service) specification. 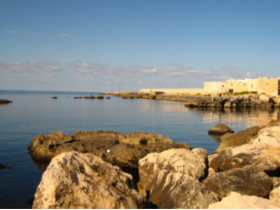 – senders know nothing about receivers and receivers know nothing about senders. 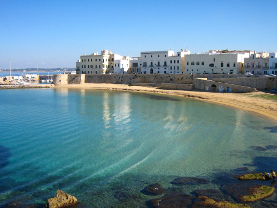 – MessageProducer class for sending messages to a destination. 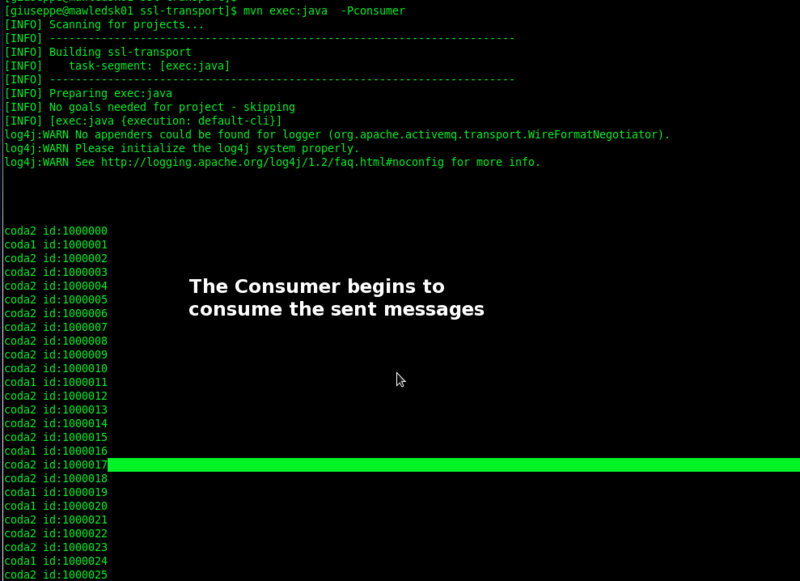 – MessageConsumer class for consuming messages from a destination. I will focus on a point-to-point domain context, you can find further information here and here. 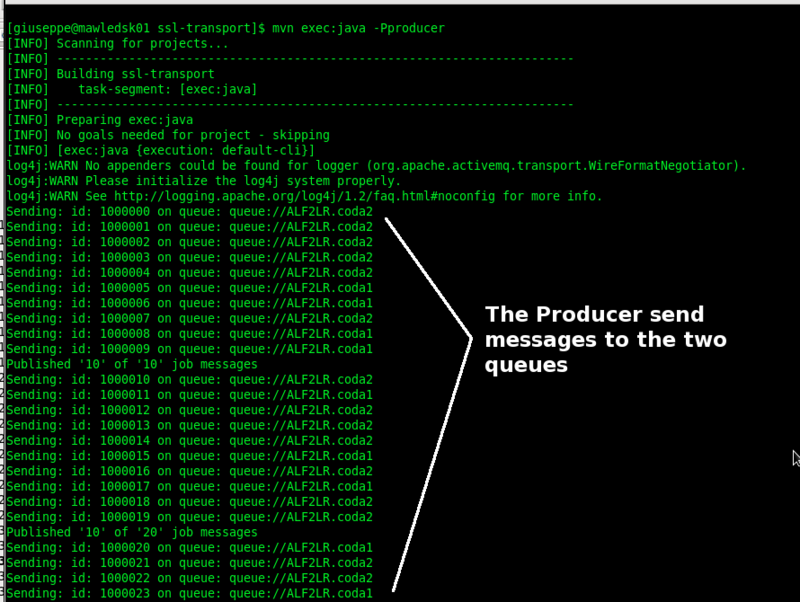 – a producer sent messages to the queue. – each message received on the queue is delivered (synchronously or asynchronously) to a single consumer. 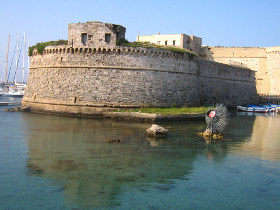 We start with the configuration of the two Master/Slave machines. To do this we use the “shared storage” approach, where multiple ActiveMQ brokers can connect to the shared message store but only one broker will be active at a time. The shared storage is a shared NFS file system (an alternative is to using a shared database). 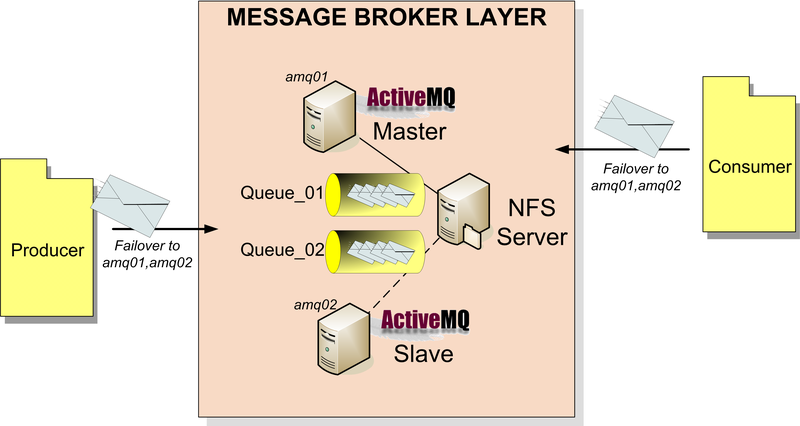 The two amq01 and amq02 machines mount a shared NFS directory where is running the default KahaDB persistence layer. 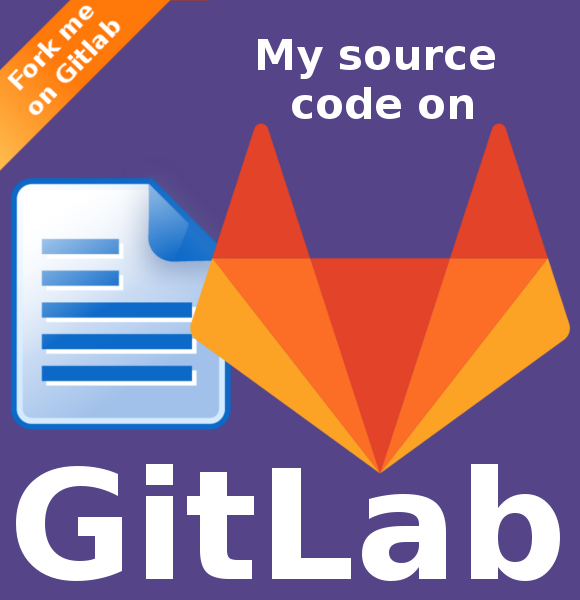 A important note: the shared file system requires the support to a distributed shared file lock, so I use the NFSv4 to prevent issues related to files corruption. Here the steps to configuration. Now we continue with the two ActiveMQ configurations. Open the file activemq.xml in the “conf” directory in the ActiveMQ installation path and set the NFS shared directory for data. 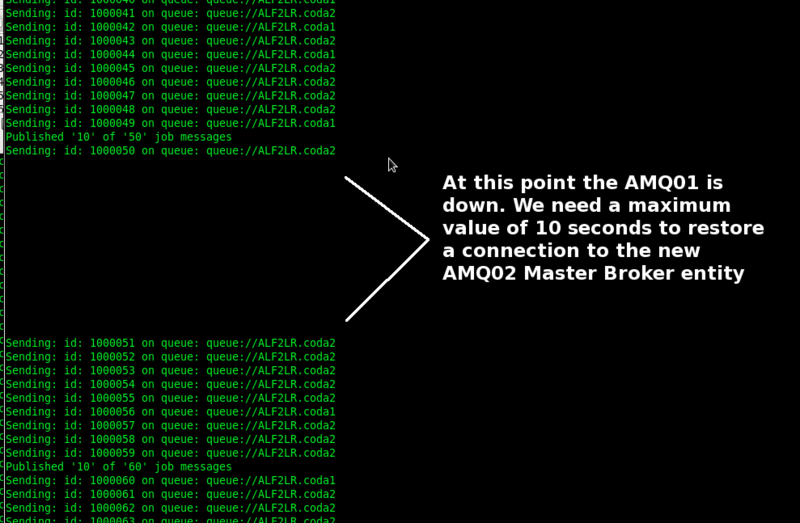 Complete these changes on both the amq01 and amq02 machines then start the amq01 message broker. We also start the second ActiveMQ, if no errors occurs we should see the message of waiting for the database to be unlocked on the amq02 output log. 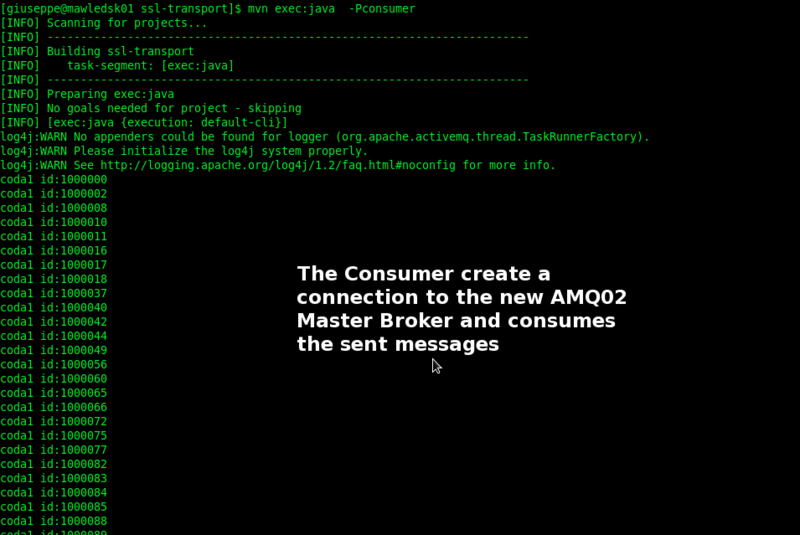 Now the amq01 machine is the master entity and the amq02 is the slave. But If amq01 shuts down or fails, the amq02 slave will grabs the exclusive lock on the sahred file system and commences becoming the master entity. Now we move to the Producer and Consumer implementation. 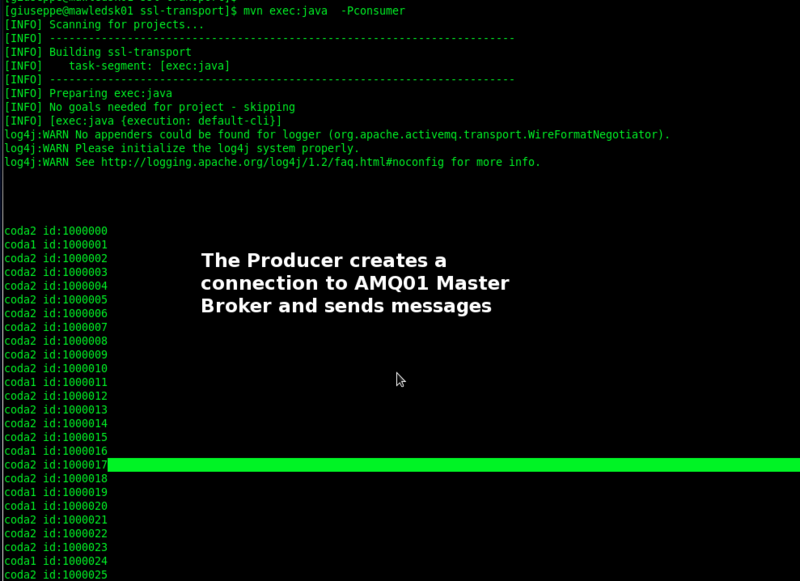 In the Producer class I use a “main” method to send messages to the ActiveMQ instance. The sendMessage method creates a randomly destination on coda1 and coda2 queues for the sent messages. Here an example. 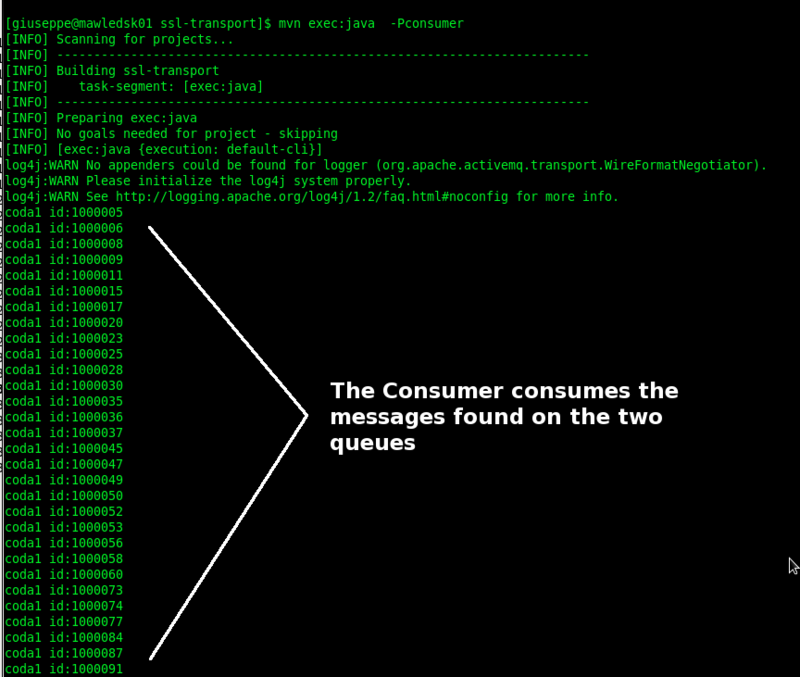 Similary the Consumer class create a jms MessageConsumer and set a MessageListener on the queues to consume asynchronously the sent messages. I also use a jms MessageListener implementation to print some message info to the standard output. After running the maven “clean install” goal the two jms clients Producer and Consumer can be started asynchronously. I’ve run 3 use case using two dedicated maven profiles to easily start Producer and Consumer asynchronously. Well, the failover protocol works!! !